This is JD Doyle and welcome to OutRadio. And that was Tyler Glenn, leading the Neon Trees with "Teenager in Love" from one of the catchiest albums of last year, "Pop Psychology." This is a special edition of OutRadio. It's not only my fifth anniversary doing the show, but as it is January, it's my Best of the Year Show. During the year I get to hear a lot of music by LGBT artists, so it is indeed difficult to narrow things down to the albums that will fit into an hour show. And, yes, this is a very, Very subjective Best of the Year list. And like last year I've broken it down into two parts, the first part for full albums and EPs, and the second for singles. But back to the music, and again, the Neon Trees started us off, and I need to keep my talking down to fit in as many as I can, and that turned out to be 16 albums and EPs, and, on Part 2, 16 singles. So I won't be giving a lot of bio information on the artists, but for many of these folks you can find that on my site, in addition to links to their websites. The songs on this segment are in no particular order, and next is an artist I've been following for many years, and he's one of just four artists who also made this show last year. Last year he had an album on the Best Of show and this year it's his EP, called "Covers." He's Matt Fishel and here's his take on the song "Finally." After Matt Fishel was Tom Goss, and representing his album was the title track, "Wait." And next was the former Canadian Idol 2008 winner, Theo Tams, and he came out with an excellent EP last year, called "Back Pocket." From it was "Stay." I'm mixing in some musical spoken word, because I just love the work of this next artist, Alix Olson. Her latest CD, "Protagonist," is I think excellent, and also interesting, as it makes you think. How many albums do that? So, from it is the song "Everybody's Waiting." Now that's some down home country, from the Austin, Texas, area in the form of Emily Herring. Her CD "Your Mistake" I think is delightful, and I hope she has a gig in Houston soon. This next artist was born in South Africa and at age two his family moved to Australia. Now, at only 19 he's appeared in an X-Men movie, is a bonafide Youtube personality, with 3 million subscribers and about 150 million views, and oh yeah, he also sings. He's Troye Sivan, and his EP went gold in Australia, as did the single from it, "Happy Little Pill." Of course in the middle of that set was Sam Smith, and "Stay With Me." He's exploded into popularity this year, and came out during the process, which didn't seem to hurt him one bit. Lastly, Matt Gold has a new EP and the title track is called "Let It Out." The song, and especially the video for this next one just knocks me out. I've watched it over and over. It very much has the retro feel of a 40s film noir movie. Out of Boston is Matthew Connor and "How Is July Already Over." "Brave Confusion" is the album by South African singer Nakané Toure, and it got him a lot of attention last year, including a spot on the cover of that country's edition of "Rolling Stone." The album includes lyrically gay tracks, like the one I picked, "Christopher." In the middle was David Raleigh singing "Do It To Me," from his CD "Equation of Love." I'm going to abruptly change the mood, as I want to insert a hard rock song. 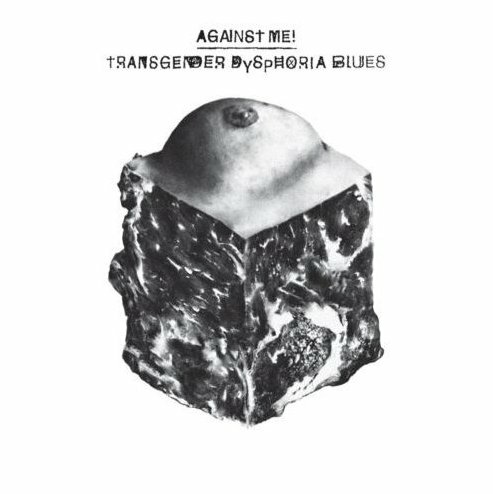 It's the title track from the album "Transgender Dysphoria Blues" by the band Against Me. A couple years ago the band's lead singer Laura Jane Grace came out as transgender, quite unusual for someone from that music genre. Here's the album's title track. I told you the choices on this show were subjective, and I'm going to include an artist I have liked for many years, who released one of my favorite albums in 1994. That was Jesse Hultberg. Just this month he came out with what could be called his follow up, but it took a while, as he wrote and recorded most of the songs twenty years ago. So he calls the album "20 Years Old." I love it, and like that on a couple songs he mixes in a bit of dialogue. This song is called "Listen to Me Breathe." Mary Lambert burst onto the scene last year in a big way. She provided the haunting chorus to the mega-hit "Same Love" by Macklemore & Lewis. It's great that her new work can get some attention now, because she deals with subjects not normally heard on the radio, like those in her song "Secrets." This is JD Doyle and there is one more song to close Part 1 of my Best of 2014 show, and it comes from an album by Canadian Megan Lane. The CD is called "Sounding the Animal," and frankly, I didn't consider any other song to close this segment, as I think it's just terrific. Here's "Someday We Will Leave This Town." The Canadian duo Sugarbeach just sang "You Believe in Love," and this is JD Doyle continuing with my Best of 2014 show. This is a fun show to do and also a very subjective one. I go through every playlist for the year and compile an excel spreadsheet and then start picking. This is Part 2 and it's for singles, and coming up is Australian artist Martine Locke, and her song "All My Day." Well, I think that was a wonderful set. We started it with Martine Locke and "All My Day," and went to a couple local Houston artists. Sarah Golden sang "The One I Love" and Band Hennessy gave us "I've Been Broken Before." Then, a brand new song snuck in just before the year ended. That was "It's Not Okay," by Laura Cheadle. I'm slowing things down and getting mellow, for an artist I've followed a long time, Micah Barnes. This single is from one of his latest projects "New York Story." There were three more artists in that set, starting with Doug Locke and "This Could Be Us," and I highly recommend you check out his video for that song. 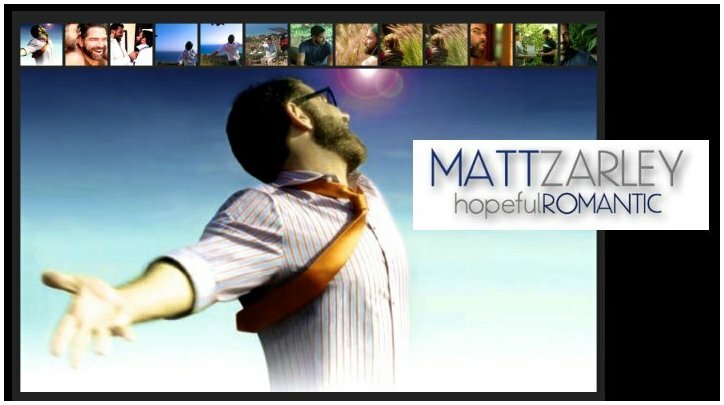 Then Matt Ryanz told us "It's Love To Me," followed by Eli Lieb and "Safe in My Hands." I just love this next track, and it wasn't released commercially but that doesn't stop me from trying to give it more exposure. Julian Hornik has been writing moving songs for several years and he's only 18. He performed this one last year with the San Francisco Gay Men's Chorus, and it was inspired by one of Harvey Milk's speeches where he tells of the young boy in Altoona, Pennsylvania, calling him just to say thank you. Julian gave his own poignant turn to his song, naturally called "Altoona, Pennsylvania." After Julian Hornik I played a UK artist I like, K Anderson and his message back in time to the "14 Year Old Me." Then out of Los Angeles was Devin Tait & the Traitors, with "Now I Know What I Want." Lastly, back to the UK and Alex Woburn and the track "Stop Playing That Film." Ty Herndon came out of the closet just in time to make this show, with a great track called "Journey On." Very nice. That was "Love Is Love," by Josiah Carr. This is JD Doyle and I'm finishing up my Best of 2014 Show, and Part 2, the segment for single releases with a very talented singer, Matt Zarley. About a year ago he started out on a project he called "Hopeful Romantic," which turned into not only an album but a film. The full product is due in February and if it's as good as the first two videos from it, well it will be on my Best Album show next year. It tells a story about a journey in and out of love, with wonderfully produced music and videos. I can't wait to see it all, but for now I can share the first release, "I Just Knew." Here's Matt Zarley.